You may first come to Kissimmee, Florida as a tourist, but the great amenities, friendly residents, and many available activities will surely convince you of what a great place it is to live. The town calls itself "a community of neighborhoods for families," and they aren't kidding. There are a variety of neighborhoods for everyone's needs and so many wonderful opportunities for family fun you won't even know where to begin! The National Civic League even named Kissimmee an "All-American City" in 2008, reflecting its strong community values. Of course, Kissimmee is right near all the great theme parks the area is known for - Disney World, Sea World, Legoland - and wonderful, year-round golfing under the gorgeous Florida Sun, but it also has a number of exceptional schools, great businesses, as well as all the stores and restaurants you could want! The beautiful Florida weather makes taking advantage of the area's natural wonders easy and doable year-round. Nearby Lake Tohopekaliga offers great bass fishing and bird watching for enthusiasts, but anyone can enjoy an airboat ride where you may even spot a bald eagle or an alligator. Only a little more than an hour away are sandy beaches that would make a great family day trip for splashing in waves and building sandcastles. If being outdoors isn't really your thing, Kissimmee offers the Osceola Center for the Arts, which puts on theater productions and art shows, including an annual art festival that features over 100 local artists. Osceola Heritage Park has a large sports arena and a concert venue, bringing wonderful traveling acts to town. The population of Kissimmee is just over 50,000, meaning all your needs are easily met in this area. The Loop shopping center can fulfill many shopping needs, with its J. C. Penney, Bed, Bath and Beyond, Books a Million, and Pier 1 as well as many restaurant options like Macaroni Grill and Pei Wei. The center of town is only a fifteen minute drive to the Orlando International Airport, making vacations and visits from friends and family easy and convenient. 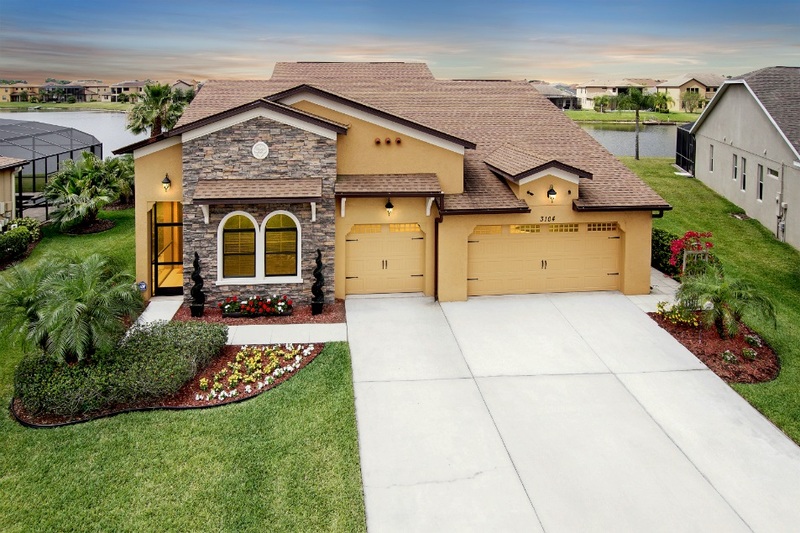 There are many wonderful new neighborhood developments being built right now in Kissimmee.